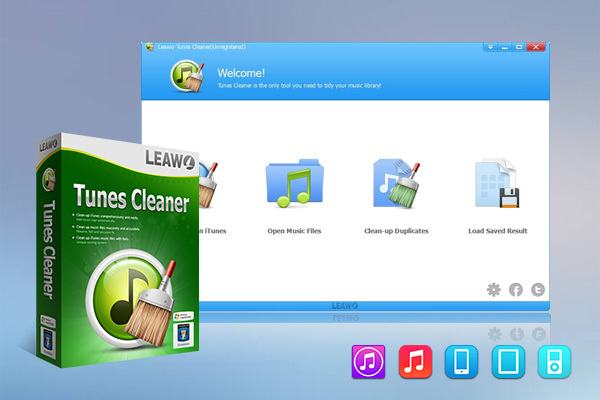 Leawo Tunes Cleaner is the best and most effective Windows iTunes cleaner program to help iTunes users clean up iTunes music library and external music folders as well. It could delete song duplicate in iTunes music library and find album cover for iTunes music library so as to make iTunes music library well organized, as well as external music folders. It could download and add music tags to perfect music library in both iTunes and external music folders. Meanwhile, with manual editor built-in, it allows music lovers to customize the music tags of iTunes or external music libraries. Advanced media player with State of The Art User Experience and support of the most codecs and formats. Leawo Blu-ray Player is a comprehensive and free multimedia player to play back Blu-ray, DVD, audio, common video and up to 1080P HD videos without quality loss. As professional media playback software, it delivers excellent visual and audio effect.